As Tech Mahindra’s Vice President and Head of ASEAN, Manish Goenka is leading an agile innovator through a diverse and challenging, yet ultimately promising, regional market. Manish Goenka, Vice President and Head of ASEAN at Tech Mahindra, began his career as an engineer. Back in 1981, he made the decision to begin his studies at a technical institute, and to this day, he considers it the best decision he’s ever made. But before he went off to study, he had to explain the decision to his father. “My father wanted me to become a doctor, and I knew that my mindset was slightly different,” Manish recalls. “I had to sit down with him and have a detailed discussion about why I should become an engineer, not a doctor. It was the right decision. Otherwise I would have ended up in the wrong profession for me. Ultimately, it may have proven a wise decision; Manish is certain he would have made a “bad doctor”. Of course, that’s not the only reason Manish made the right move. In the years since, he’s had a hugely successful career, as an engineer at first, and then later in management. Since 1986, the India-based company has been a provider of IT services, solutions for networking technology, and business process outsourcing. Today, it employs almost 120,000 people, servicing around 930 clients. Though Tech Mahindra does business in numerous regions, across 90 countries, one of its most complex, diverse, and promising markets is South-East Asia, which Manish now oversees. “When I was offered this role, I looked at it two ways,” he says from the Singapore office he’s based in. “One was the opportunity to manage so many regions with so much diversity. I’ve spent more than 25 years working in the ASEAN region, so I also viewed it as a chance to contribute to the growth story of the region, in a small way, especially towards digital technology. That’s what drew me to this role." Throughout 2018, the ASEAN region has continued to perform well economically, with growth rates hovering around 5% each quarter. Indonesia, which accounts for a third of the region’s GDP, has enjoyed strong economic development, thanks to healthy employment growth and private consumption. The Philippines, Malaysia and Thailand are similarly major players, contributing heavily to growth in South-East Asia. “While outsiders see a single market, ASEAN is a fragmented economic grouping,” Manish says. “On one hand, we have large economies like Indonesia, which are worth around a trillion dollars, and then we have countries like Laos and Cambodia that are about 15–20 billion-dollar economies. While this does present opportunities, and an engaging environment in which to work, it also means Tech Mahindra must take a more nuanced approach to doing business in the region. “It’s impractical to rely on one single ASEAN strategy, because what works in Singapore might not work in Vietnam,” Manish explains. “That’s down to the broad continuum of development and progress these countries demonstrate. Both Manish and Tech Mahindra must therefore demonstrate a dynamic, responsive and agile approach to business in the region, but not just because of the cultural and economic diversity in the ASEAN region. 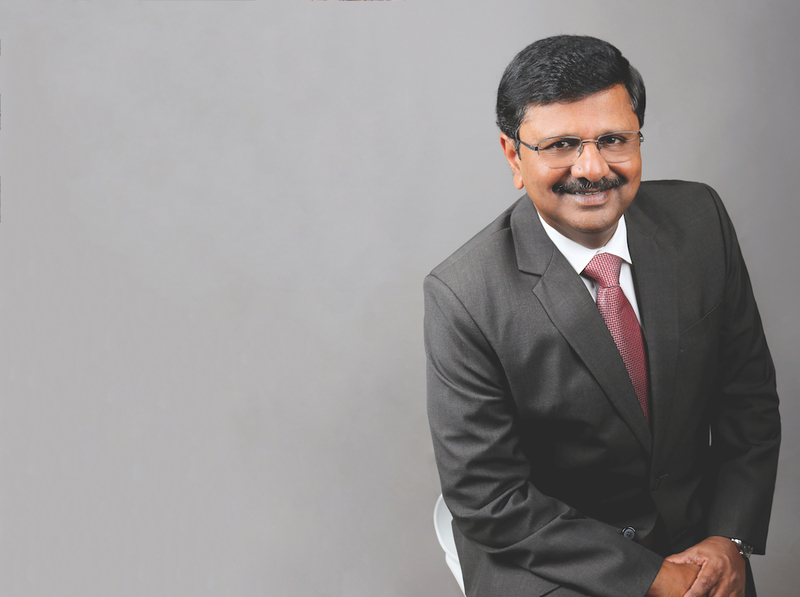 Operating in the sphere of digital technology means Tech Mahindra must adjust to a constantly shifting industry, though Manish, naturally, would rather the company lead the charge, than follow it. In aid of this ambitious goal, Tech Mahindra employs a robust R&D department, though it’s a far cry from your typical R&D. The company’s Makers Labs, four of which are based in India with another seven overseas, provide innovative solutions for its customers, helping them (and Tech Mahindra) stay ahead of the curve. In June last year, the company opened a Makers Lab in the US, as part of a collaboration with the University of Texas; a similar partnership was signed with the University of Sydney the same year. Through partnerships like these, Tech Mahindra will be able to leverage the scientific and technical proficiencies of students to enhance its innovative focus. The Makers Labs have produced revolutionary products like Entellio, a customer service chatbot that can learn customers’ preferences, manage transactions, and maintain intuitive conversations. Even more exciting was the creation of Saarthi, an AI-powered personal health assistant. Conceived back in 2016, Saarthi was born in 2017, and has the potential to be installed in homes, hospitals and care centres. One possible use is the facilitation of remote inspection by doctors from all around the world, alleviating heavy demand on local health services. Saarthi can also manage medication, sending out warnings when a patient forgets a dosage, and offers smart device connectivity. Promising as creations like Saarthi are, it’s Tech Mahindra’s digital tools that are seriously engaging the company’s customers. “What our clients are focusing on is around seeing how they can transform their businesses using digital technology, because that’s being driven by their customers,” Manish says. Due to the speed of innovation in tech, ensuring the workforce is continuously learning and re-skilling at a rapid pace is a necessity. As well as sourcing creativity and innovation from its Makers Labs, the company therefore makes use of an internal program called Tech Mahindra Learning World. Learning World originated within Satyam Computer Services, a company Tech Mahindra acquired and merged with, intending to provide constant upskilling and training in everything necessary for employees to thrive within Tech Mahindra. Manish describes the program as “a department whose only duty is to ensure that continuous learning programs are available for all our employees”. This includes soft skills, and helping employees develop competency in management, teamwork and technical skills, whether that involves new programming languages or Tech Mahindra’s digital solutions. Most importantly, these programs are available to all 118,000 employees across the world, ensuring a consistently high level of aptitude within the organisation. The company’s efforts in maintaining highly skilled employees was recognised with a gold medal in the CEO World Awards 2018. The value and respect with which Tech Mahindra views its employees is reflected in the way Manish serves as a leader. For him, communication is a central ideal, and it requires far more than a superficial understanding of whatever’s being said. Manish’s efforts to maintain an egalitarian, communicative organisation are down to the nature of the environment in which they work. “We call ourselves a 120,000-person start-up, because we know that in this age we need to be agile and fast-moving,” he explains. “We are a reasonably flat organisation. Though employee re-skilling and a robust R&D department go a long way towards maintaining Tech Mahindra’s cutting-edge innovation, the company has invested further in this avenue. The solutions provider has also formed partnerships with industry, academic, government and scientific organisations, to further the capabilities of not just Tech Mahindra itself, but global technology as well. 1986 – Founded by parent company Mahindra Group. 1993 – Incorporates its first international subsidiary, MBT International, marking the beginnings of its global presence. 1995 – Establishes UK office. 2006 – Sets up its first Global Innovation Hub, in Singapore. 2009 – Acquired Satyam Computer Services, one of the largest merger deals in the history of India’s tech industry. This came after the Satyam scandal, in which the CEO admitted to forging the company’s financial records. 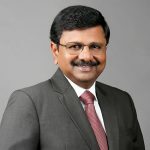 2010 – Manish joins the company as Vice President and Oracle Practice Head APAC, having worked in similar industry roles since 1985. 2010 – Supplies IT services to the 2010 FIFA World Cup. 2013 – Merger with Satyam Computer Services is completed. 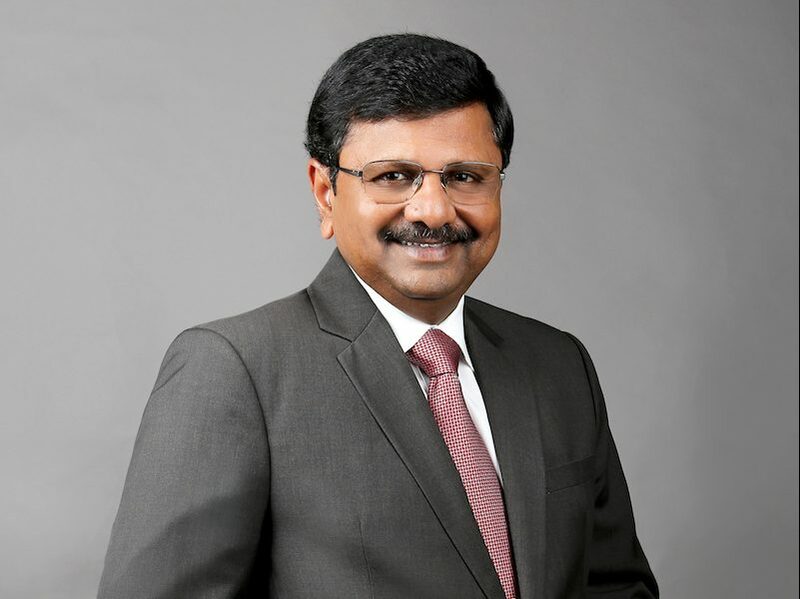 2014 – Manish assumes his current roles as Vice President and Head of ASEAN. 2017 Company signs agreement with Huawei, marketing its enterprise products across 44 different countries. 2018 – Listed among Top 15 Public Companies Shaping the Digital Economy by Forbes. 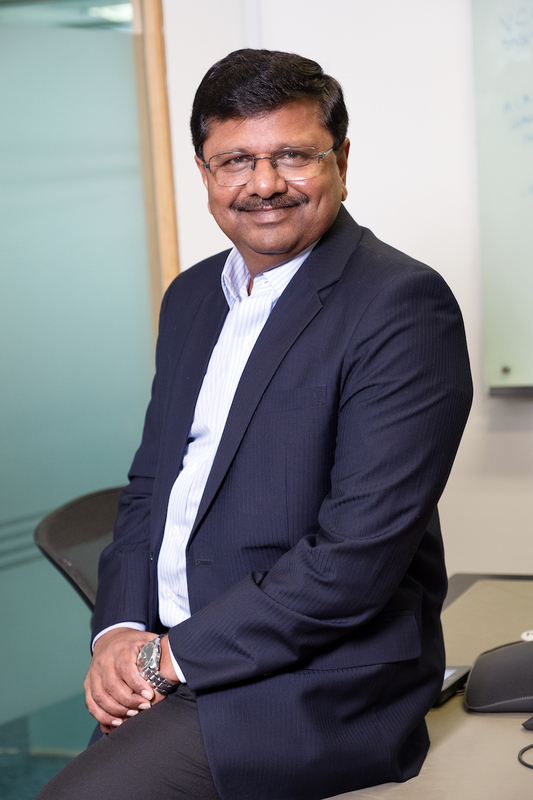 In recent months, Manish notes, the company partnered with some of the world’s leading cybersecurity firms, to enhance the cybersecurity solutions Tech Mahindra can offer its customers. Manish considers these kinds of partnerships to be “the heartbeat of innovation”. Recently, Tech Mahindra also collaborated with the Indian state government of Andhra Pradesh, to overhaul existing government processes using blockchain (a secure, modification-resistant method of storing data). At the end of 2017, Andhra Pradesh became the first Indian state to integrate the technology into governance, to prevent tampering with land records, and to streamline data on vehicles. The success of these pilot projects has seen Andhra Pradesh embrace the technology, and the government has also been promoting its Fintech Valley Vizag initiative, to encourage the growth of business infrastructure and foreign investment in the region. “It’s an example of how blockchain can be used to transform many of these inefficient, basic processes,” says Manish. “Perhaps nobody thought they needed to change, but it does completely transform the process. It provides a new experience to the public in a much more transparent manner than previously.